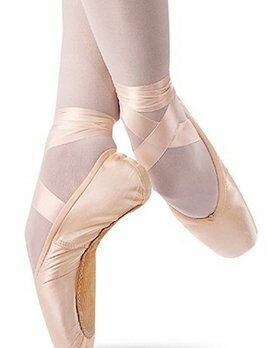 BPDancewear offers pointe shoes for every dancer's foot. Pointe shoes vary greatly from size to size, brand to brand, and style to style. Professionally fit pointe shoes are the only way to ensure a proper fit. Please let us know if we can schedule a pointe shoe fitting for you. Bloch's Heritage features a V shape vamp and larger platform providing greater control. From Bloch's fusion line, the Grace pointe shoe is a very lightweight yet supportive shoe. The box shape is so elegant and designed to fit and support the foot for maximum comfort. The"EuroStretch" pointe shoe from Bloch features the latest in stretch materials to allow proper articulation of the foot. The unique stretch satin adheres to the foot like a second skin. 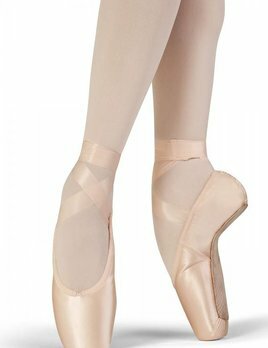 The Dramatica II is perfect for dancers with shorter toes or tighter muscles under the foot and ankle. The stretch-satin upper ensures lengthening when the foot is flat or in demi-plie and returns to its original form when en pointe. 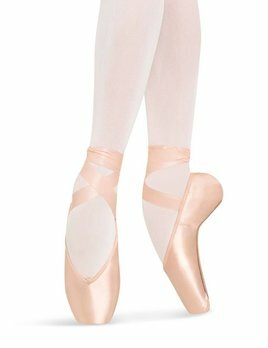 Suited for the ballet dancer looking to strengthen and build her foot, with comfortable shape providing many internal contact points. Provides support with flexibility. The Spotlight incorporates Suffolk’s patented design that is unique in its ability to help all dancers get over the platform in correct placement while the insole allows her to fully articulate her foot. The Stellar is perfect for the lower profile foot and enables the dancer to get over the platform, while fully articulating her feet. The Suffolk Solo Prequel is the shoe for dancers who want to be a little further over en pointe without compromising correct foot placement. 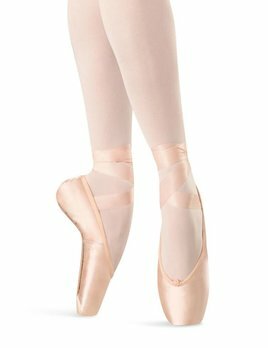 Entrada Pro v-cut pointe shoes feature pre-arched construction, a medium-high crown and a medium platform, best suited to dancers with moderately tapered toes and some fullness in the instep or toes. 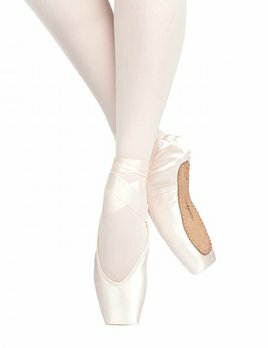 Lumina v-cut pointe shoes feature a very slightly tapered box with a medium crown and wide toe platform, and a generous heel. 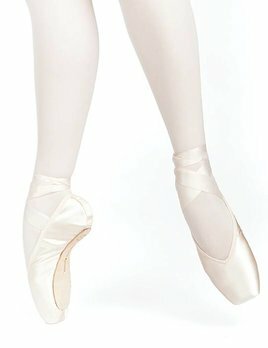 The versatility of these u-cut pointe shoes has given Rubin unsurpassed popularity among discerning ballerinas. Fits all types of feet, and it is specially recommended for performances where flexibility and quietness are most important.